We are Childrens Outdoor Creativity Center, that was founded in the summer of 2014. It`s purpose was to offer parents an outdoor kindergarten, estonian language course to children and other hobby classes. We have developed our activities for children but also for parents. biggest asset is first-hand experience with the nature. We do not watch butterflys from the picture, but go outside to actually look for them. Being a lot outdoors helps to prevent toddlers health issues and is very supportive for their development overall. Children who spend more time outdoors are calmer and have better concentration ability. These children are never bored. In reality they enjoy time outdoors if its properly guided. Outdoor kindergarten pedagogy foresees that everything is and can be done outside. All first-hand experiences that are received through different senses fosters the confrontation of knowledge, creating links and the development of actual skills. It's not comparable with reading from the books. How we ensure childrens safety? *In outdoor kindergarten groups there are usually less children. That way we ensure calm and friendly environment, and the teacher has great overview of ones group. *it's important to have rules and it's better to put them down together wit children. We have to make sure that children understand and follow these rules. We teach them to handle the risks/difficulties, not to avoid them. Children are taught to recognise and assess the risks, and therefore to assess their own abilities in dealing with the risks. 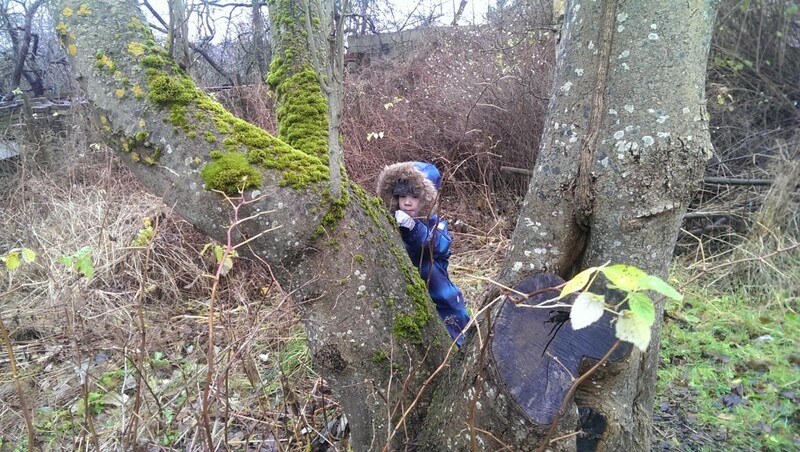 *In outdoor daycares children are allowed to climb the trees, but the rule is that no-one is helping them in that. It's because to teach the child to assess ones own abilities. Teachers role is to ensure that the tree itself is safe and the child would behave according to ones abilities. *Daycare borders are fixed through mutual understandings and the rule is that no-one leaves teachers sight without a permission. *In kindergarten often fire is made, to give the children on colder days some warmth and also to teach them responsible behaviour around the fire. The same goes to playing around open water, where it's extremely important that children would never be without supervision. Awareness and basic knowledge can grow through first-hand experience. It's important to have the agreement on basic rules and that the children have inner conviction that it's alsos important to follow these rules. Are we outside with any weather? Principally yes- we are outside with any weather and we are happy about all the opportunities that different weathers offer us. But it is important to notice that children would not be too cold or hot. Clothes that have gone wet need to be changed for spare ones. Being outside with cold weathers depends also on childrens wishes and expects from the teacher special attention and responsibility. Cold weathers are not obstacles on going outside, but the lack of right clothes is. The first layer on the skin should be (if possible) merino wool, that keeps the child warm even when sweating. Second layer should be cotton and then wool bundle. Being outside with any weather strengthens immune system and makes children less susceptible towards cold and flu. Where else these kind of outdoor kindergarten can be found? Outdoor kindergarten are common around the world for decades. 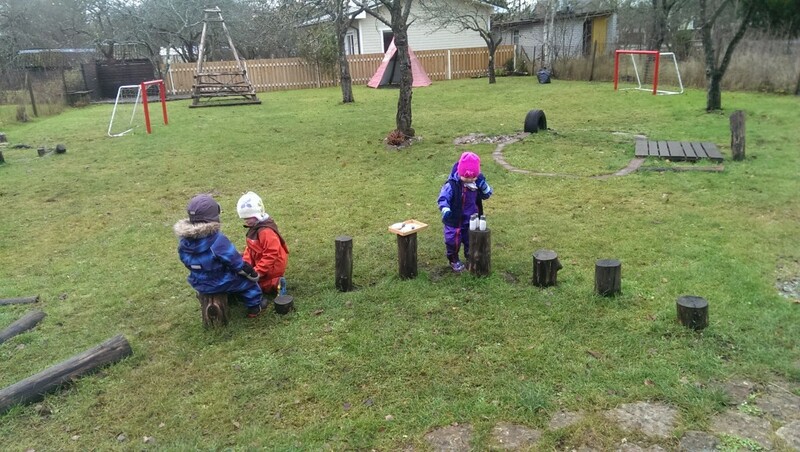 First known outdoor kindergarten was founded in Denmark in 1950's. They are really popular and wide spread in Sweden (since 1957), Finland (since 1979- there are around 100 000 children and 6000 teachers involved), Norway, Austria and Germany (since 1968). According to 2012 there are more than 1000 outdoor daycares in Germany. 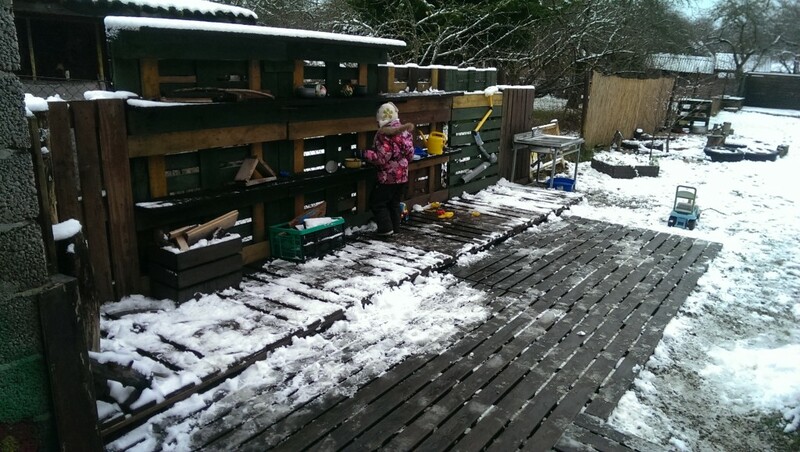 Outdoor kindergarten can also be found in Lithuania, Czech Republic, Great Britain, Spain, USA, Korea, Russia, Mexico, etc. 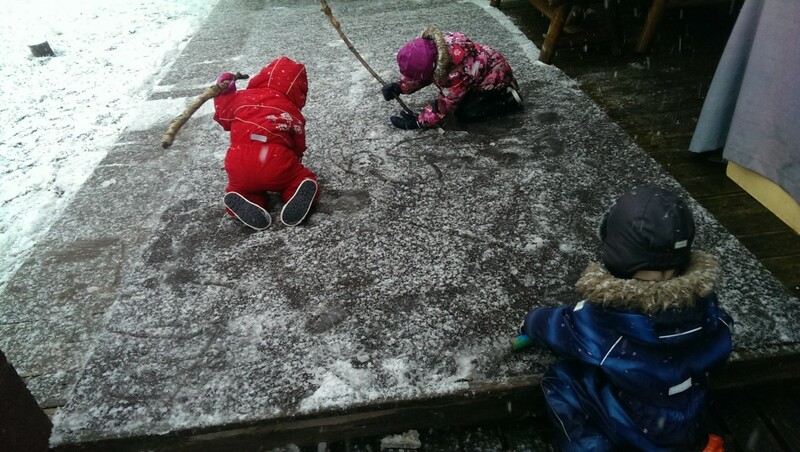 Are outdoor kinderkarten children ready to go to school once the time is right? The experience from other countries show that the children who come from outdoor daycares have better preparation for school than average children. They also manage school better later on. These children work better together, are more motivated and with better concentration ability. They stand out because of their good social, motor and artistic skills. These children gain in outdoor daycares high sense of responsibility, independence and individuality. Previously named characteristics support children also on their school path. If You'd like to support our daycare financially, we'd appreciate it a lot! Donations will be used to raise awareness about the subject and to create new outdoor kindergarten in Rocca Al Mare area.